Before I start giving you the insight I’ve gained from Giovanni Dienstmann’s Master Your Mind meditation program, let me express that I still feel the best way to meditate is to practice directly under an experienced meditation guru. Maybe that’s because I had the privilege to learn under one. That was 17 years ago. And I wasn’t living in a busy city where it took at least 30 minutes to go anywhere. If you can find a good meditation guru within a reasonable distance, by all means, do go ahead and learn personally with the guru. I guarantee you that is just the best way to learn meditation. You wanted to learn meditation at home . You want to do it at your own pace. Then you probably want to look into what I’ve found a few weeks back when I was writing my post, How To Stop Being Negative. I found this course when I was searching for online mindfulness meditation program. I was lucky to find it as this program is quite new (launched in May 2016) but has over 200+ members so far. Anyway, I’ve seen many beginners in Quora or Reddit trying to learn the proper technique for meditation and seriously, it’s very hard to do so without having a proper guru. So I checked this Giovanni Dienstmann out. Of course, the official info from his website claims he has been practicing meditation for the past 16 years (with more than 6,500 hours of practice). In his email, he signs himself as a blogger and app developer. He specifically stated on his website that he is not a meditation guru or a spiritual master, but a practitioner hoping to share his experience to help others grow. A further search on the internet found various meditation related articles authored by him. You can check his article More Than Meditation. Or you can check out a podcast in CourageHub featuring Giovanni himself. Seems that Giovanni Dienstmann is legit. A further check shows that he is a certified coach at Coach.me. Well, even if the owner himself is legit, I still find it important to check the meditation course itself (I may not have the 16 years of meditation under my belt, but I know when I spot a fake). By the way, did I tell you I enjoyed the learning platform provided by MindValley Academy? I love the simple user interface where I can keep track of my course progress. Master Your Mind offers a similar platform like this (with something better). I like the way the courses are broken down and simplified into daily lessons. You can keep track of your progress easily. It listed the step by step instruction into the PDF file, accessible via the learning interface. There are no fancy jargons here. Just plain simple instructions. Immediately after the courses, you can actually leave comments or questions and Giovanni will get back to you personally. Personally, I think this is the best you can get apart from a face to face meditation session. And this is important because the best time to ask questions is immediately after your meditation session. That’s when your mind is still in the meditative state and you remember most of your experience. I did check out a few of the lessons. 1. The owner, Giovanni Dienstmann knows what he’s doing. The meditation instruction is clear and easy to follow. 2. For USD 59, you get to learn the basic of 4 types of meditation : mindfulness, mantra, chakra and loving kindness. It will cost you much more if you are to travel to various meditation guru. 3. Learn at your own pace. If you missed out any of the daily lessons, you can continue the next day. 4. It guides you to cultivate the right mindset for meditation. Many guides don’t do that. 5. Provides clear illustrations on posture. No more confusion on the full lotus, half lotus and Burmese sitting postures. 6. Support from Giovanni Dienstmann himself. Leave comments right after the course and he will get back to you. 7. 30 days money back guarantee. That gives you plenty of time to try out his program. 8. Direct contact with the owner, Giovanni Dienstmann. 1. I’ve said it from the start. This doesn’t replace learning face to face with a meditation guru. Well, I can’t really think of any more cons right now. But I would like to stress that this meditation course is not for everyone. Don’t Sign Up If You Are..
1. An experienced meditation practitioner. 2. Practicing meditation under a meditation guru. 3. Unable accept a variation of meditation methods. 1. If you are curious what meditation is all about. 2. 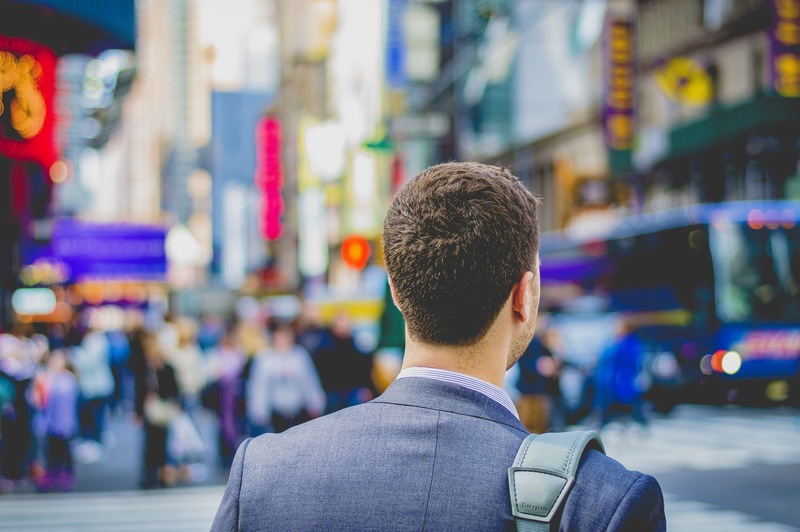 If you are living in busy cities and facing a high level of stress. 3. If you have read and understand meditation is a practice that promotes good physical and mental health. 4. If you are looking for an online meditation program that is simple to use. 5. If you are having obsessive thoughts or sleep disorder. 7. You are a working professional and have no time to seek out a meditation guru or it’s too far to travel. (You can check out some feedback from working professionals here). It’s definitely a good online meditation course for people who want to learn meditation at their own comfort. At USD59, and learning 4 types of meditation in 5 weeks, it’s really a bargain (you know I’m right if you have been signing up courses at Mindvalley). I would highly recommend this program to you, based on my own personal meditation experience. Here’s the site again if you want to check out more on Giovanni Dienstmann and his program. Do you believe that meditation brings tremendous benefit to your physical and mental health? It’s a practice that is neither too young or old to start. Would you start meditating now if you know it will keep your stress level at bay and increase your productivity? Meditation is a really nice habit to have. It certainly makes you think more positive and makes you a nicer person. Thanks for sharing your thought. It definitely is. This program seems very interesting and I particularly like that you can leave comments for him and that he replies directly to you. I know when I am learning new things I often have a lot of questions as I like to think about things from different angles, so having an avenue to communicate like that is extremely important to me. I would still consider myself a novice in the world of meditation even though I have been doing my own thing for a couple years now. I am coming to the point where I feel like I need to focus in on the skill and this course does sound optimal for that. Thanks for sharing your thoughts. I’ve subscribed to a couple of what you called “Top Graded” personal development course. But the disappointment comes in the form that it’s one way. Learning is limited when it’s one way. Never mind the awesome responsive user interface. I thought Master Your Mind is something similar until I spotted the comments/feedback section. I have tried the MindValley Academy online system in the past but never really got a great experience from it. 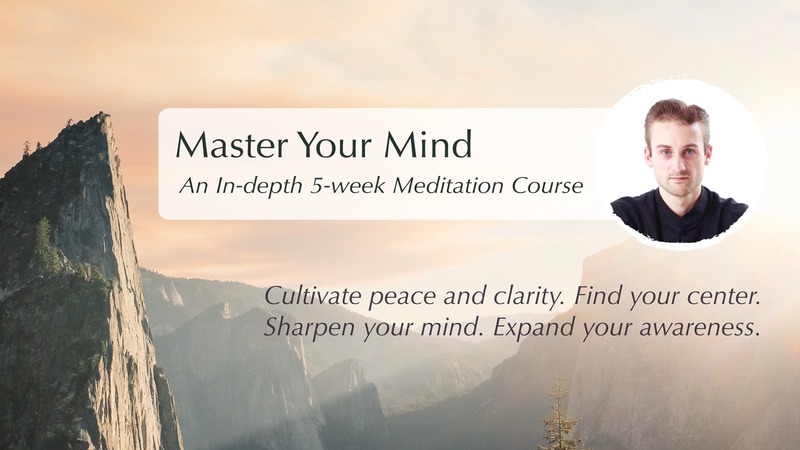 I am now seeing your review on the Master Your Mind course and I must say that it is actually sounding like a system that I may really gain some valuable meditation practices from. I have also been listening to some mantras on youtube recently. They are really soothing and does help me to get a really calm feeling in my home. It also helps me to be more productive in my life. I think everyone should partake in meditation for sure. Thank you for writing this wonderful review and I may be getting the course at some time. All the best in your meditation. Thanks for your comment. I still remember my first few meditation lessons. At the end of the session, I was wondering whether I’m breathing or observing the right way. I’m thankful I have an experienced guru around .But this works best for those without. It’s funny that I stumbled across this. I’ve had a few conversations recently about how beneficial mediation and mindfulness can be when looking to reduce stress in your life. I think the biggest question is where to start and how to make sure you’re getting the most out of the practice. I agree that a face-to-face meditation guru is probably best but I love knowing that there are some online options as well to guide people as they pursue this practice. This program with the comments/feedback is the closest thing to a face to face meditation guru. You could check it out if you like. Thank you for this information! This sounds very interesting. I do meditate in my yoga classes, however I never seem to find the time at home where I am sure I need it most. This is something to definitely think about. Great post! I find the best time to meditate is right after waking up and before bed. 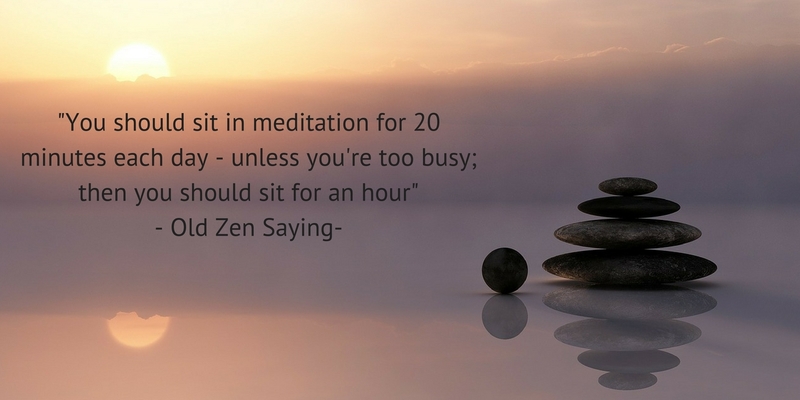 I’m sure everyone has their favourite meditation time. Hi there, I just finished reading your review and I must say that I got a little bit interested. 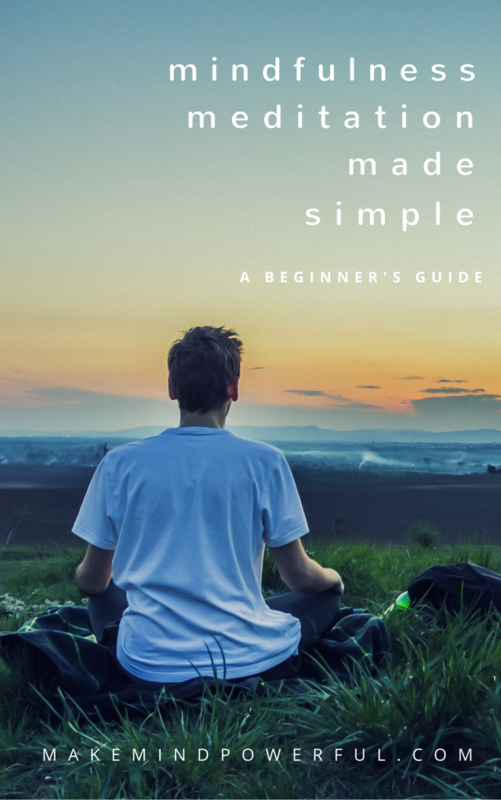 I have been doing some meditation on and off for about 6 months now (can’t say I’ve been consitent) and for me the hardest thing was (ad still is) to learn the basic stuff and really understand the process. For this I have used the app “Head space”, but only the free version. I wonder, have you tried the paid version of Head space? If you have, is it worth the money? I’ve never used HeadSpace. Maybe I’ll check it out in the future. For beginners, it is important to build the momentum and have guru supporting you. That’s why my opinion is having a face to face session with a guru is still the best. But if you can’t find one, I think the online meditation course I suggested is the next best option. Over and above the fact that this course is legitimate, I like (1) the feature of drip feeding, (2) clear illustrations of positions, and (3) ability to add comments and get direct replies from the coach…I will be checking this out! I’ve had my fair share of meditation experience. This program is quite new. In fact it’s only 3 months old and it has around 200 plus members. I’ll definitely be looking at chakra and mantra meditation. I’ve never learn those before. Do check it out for yourself. I like the features it’s comparable to some of the top programs I’ve signed up. Zen is really BIG to be acknowledged… 1st time i learn these things, i think just need to sit and don’t thinking to help us release the stress… until i found that we need to be silent to watch everything we’ve experienced from baby until present. It really annoys me a lot! Too emotional. I found resources on the internet. After that, still, I’ve to solve it one by one until finding the root, can’t do it all at once at the beginning… need to make balance in order to lighten each part of chakra until getting the flow, feel the universe, peace (no emotion) and get the common sense. As you said at the one of your post, need the guru? Indeed! As a media to help to approach people problems that seem closed (eventually because traumatic issue at their own past) rather than give the client about how to make them addicted to the guru using their method (nlp, brainwave, motivational words, that doesn’t help at all) i meet several fake guru, until realized that i just need to be AWARE of each aspect we’ve encountered while meditating. But for several aspect, we still need feedback from others people to keep aware or getting more aware… to not let the negative emotion comeback and ruining our inner peace. Meditate still interesting thing, so many insight that make us know who or what we are… Cheers!! We can’t really sit and don’t think. Our mind is not built that way. There will always be thoughts running around in our head. It’s only how we react to them that matters. Mindfulness meditation is about being aware of our thoughts, feelings, and emotion. It’s about observing the nature of our internal self. Having a good meditation guru is important to kickstart one’s practice but sometimes it can be hard to find one, especially in cities. Thanks for leaving your thoughts here. I have been practicing meditation for just over a year now and have experienced positive results and I know it’s all about consistency. This online meditation course does sound rather appealing and I know that it’s in second place in terms of actually seeing a meditation guru in physical reality but this is the second best way around it and the teacher seems very trustworthy from the information you have shared here. It’s good to hear that you’ve been meditating for quite some time. The terms Transcendental Meditation has been quite popular lately. I’ve checked it out and it seems like a form of Samatha meditation. It requires the use of mantra to build your focus power and to calm your mind now. It’s different with mindfulness meditation. I used to start my meditation with Samatha or Concentration meditation (I’m not sure if it’s the same with Transcendental) and then followed by mindfulness meditation. Great review. Meditation seriously changed my life but it sure takes discipline. I love how it complements my yoga practice. I like this this program is affordable yet packed with everything that I need to know. And yes it’s rare that you get to directly contact with the founder Giovanni which makes this program all the more valuable. Does he have a meditation program for advanced students? Right now his website offers meditation for beginners. But you can always drop him an email on that. Giovanni is very responsive to his email.